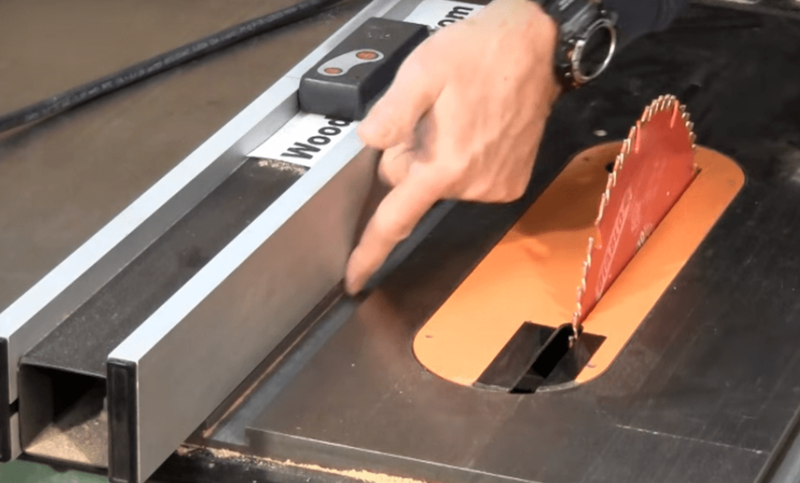 How to Use a Table Saw for Your Project – If you want to learn how to use a table saw, then you have come to the right place. A table saw is a versatile piece of equipment that offers lots of benefits. It is easy to use, and it can also save you time. There are some situations in which you need to use a table saw. For example, if you want to cut boards then a table saw is the right tool that you need. Of course, you need to know how to use the tool correctly if you want to get accurate and precise cuts. Knowing how to use a table saw correctly is a must if you want to get the job done. Check some important tips that we have listed below. The first thing you can do is to wear eye and ear protection. It is important as these items will keep you save when cutting boards on the table saw. By using eye protection, it can protect your eyes if there is dust or debris flying into your eyes or face. Since a table saw can be incredibly loud, using ear protection can protect ears so that it won’t hurt your eardrums. If you want to cut thin boards, it is important that you also use a splitter, push shoe, or push stick. It can be used to help guide your wood as it gets cut. The good news is that you can purchase this item at your local hardware store. However, you can also create them if you want to save money. Note that some push devices come with adjustable parts for different sizes of wood. Using an insert is a must if you are ripping really thin boards. An insert is used to protect your fingers from being close to the blade. Note that you must use a pushing device too when ripping really thin boards. Blade guards should be considered when you are using a table saw. These blade guards can prevent debris from kicking back and they can also keep your fingers away from the blade. If you notice that the blade guard is no longer installed, you can purchase it from the table saw manufacturer. If there are warped or bent boards, make sure that you don’t cut them. These boards will make rough cuts and the worst part is that these boards can cause the wood to kick back. Another important tip is that you shouldn’t cut boards that have been water damaged. These are some important considerations that you must know if you want to use a table saw. This tool offers lots of benefits, but if you have no idea how to use it properly, it can cause some problems. Using our tips here, you can keep yourself safe when learning how to use a table saw.